The 5G Forum will kick off with China Mobile presenting their perspective on 5G technologies followed by a panel session including experts from organizations such as China Mobile, Shanghai Tech, Keysight Technologies, Rohde & Schwarz and National Instruments. Horizon House Publications and Microwave Journal China are pleased to announce that EDI CON 2015, taking place April 14-16, has expanded into a second exhibition hall. Exhibitors can choose from a range of booth sizes and packages that can include commercial technical sessions or workshops to maximize lead generation and brand exposure. Horizon House Publications and Microwave Journal China announced the availability of the technical program for the second annual Electronic Design Innovation Conference (EDI CON 2014) to be held April 8 – 10, 2014 at the Beijing International Convention Center in Beijing, China. The technical program consists of 86 peer-reviewed papers (largely from industry), 30 workshops, 5 special panel sessions and 2 plenary sessions featuring guest keynote speakers from leading research institutes, industry and academia. 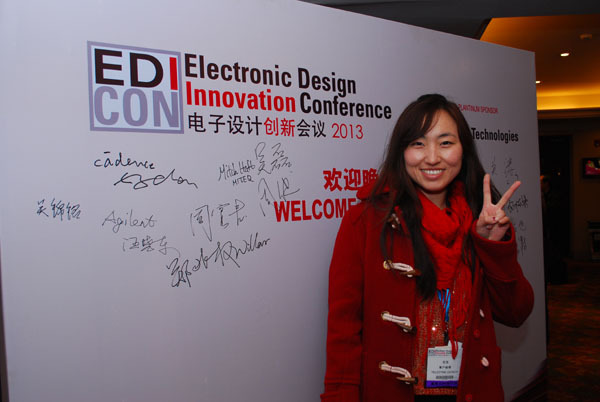 Registration to attend the EDI CON 2014 technical conference and exhibition, April 8-10 in Beijing, China is now open. This three day industry-driven event focuses on RF/microwave and high-speed digital design. Entrance into the technical program, workshops/tutorials, panel sessions and opening day ceremonies are all inclusive when purchasing a delegate pass. Register early and save 50% on the admission price. Horizon House Publications and Microwave Journal China announced the participation of RFHIC, a global leader in the design and manufacture of RF & Microwave components, as a Gold sponsor of the 2014 Electronic Design Innovation Conference (EDI CON 2014) to be held April 8–10, 2014 at the Beijing International Convention Center in Beijing, China. Horizon House Publications and Microwave Journal China announced the lineup of Gold-level sponsors for next year’s Electronic Design Innovation Conference (EDI CON 2014). The Gold sponsors are Anritsu, CST, Spirent Communications, Mini-Circuits and Richardson RFPD. Leading RF GaN device manufacturers including Cree, MACOM, NXP and Freescale will discuss their GaN solutions in workshops and technical presentations to an audience of RF/microwave design engineers and system integrators. 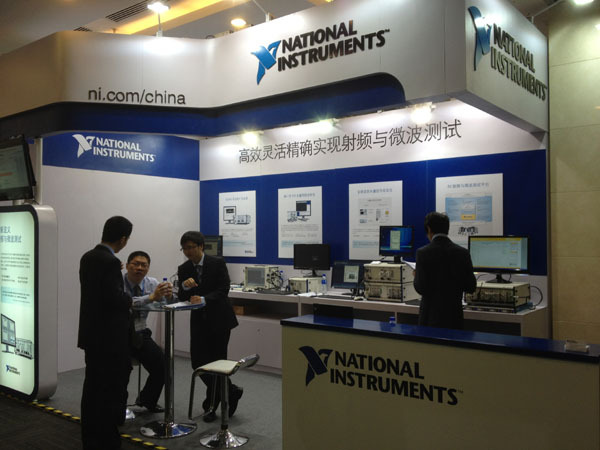 Horizon House Publications and Microwave Journal China announced that National Instruments (NI) and its fully-owned subsidiary AWR Corp. will be the corporate sponsors of the Electronic Design Innovation Conference (EDI CON) 2014 in Beijing, China April 8-10, 2014.